Sheep’s head at a shop near Taksim Square, Istanbul, Turkey. Sheep’s head are a delicacy in Istanbul. On a culinary backstreets tour, we were introduced to this happy fellow. 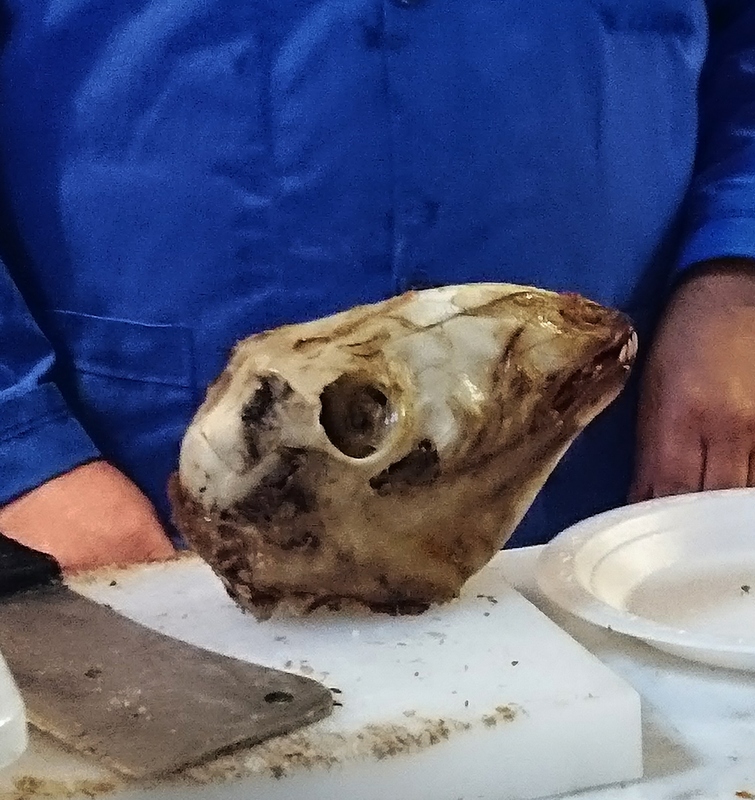 The butcher chopped off the top of the skull and offered us a taste of sheep’s brain. I refrained.